Kupona means ‘to heal’ in Kiswahili. Kupona Foundation is a nonprofit dedicated to delivering high quality healthcare to those who need it most. We focus on Tanzania, a country rich in potential but severely impacted by extreme poverty, a challenge compounded by one of the highest population growth rates in the world. Our founding partner, CCBRT (Comprehensive Community Based Rehabilitation in Tanzania), is a leading healthcare provider specializing in disability, rehabilitation and maternal and newborn healthcare. A lynchpin in the Tanzanian healthcare system, CCBRT has over two decades of service to the Tanzanian community and partnership with the Government of Tanzania. Since Kupona was founded in 2009, we have built a network of over 2,000 donors, advisors and advocates, mobilizing financial and in-kind resources exceeding $5 million, all in support of CCBRT’s life changing programs. Thanks to the generosity of partners and donors, 2017 was our biggest year yet. You helped us mobilize more than $1.6 million in financial and in-kind resources this year alone. This number doesn’t include the hours of advice and hands-on support that volunteers and friends also gave so willingly, nor does it take into account the impact of the partners and supporters who shared their platforms to help amplify our story. The achievements you’ll read about in this report are your triumphs, and we’re so proud of our collective progress. For thousands of women, children, and people with disabilities, CCBRT is the only option for specialist healthcare. Securing the future of our programs and services, which are vital to many members of the community, is our top priority. It’s a theme you’ll see throughout this report: investments in quality, systems and infrastructure, all designed to sustain CCBRT’s exemplary services at scale and meet the growing demand for quality healthcare in Tanzania. Of course, there is more work to be done. For many of us, the health, wellbeing and fundamental safety of our global community has rarely, if ever, felt so under threat. There is no denying that the challenges we face in achieving our global goals are complicated and will not be solved overnight. However, as we look ahead, we are full of hope and ambition. Thank you for your commitment. We’re proud to call you members of our community. In 2017, the Kupona community mobilized over $1.6 million in financial and in kind resources to enable the continuation and sustainable growth of life changing programs. Thank you to every member of our community who supported our work in 2017. You donated dollars, time, and photos. You climbed mountains, golfed for good, purchased handmade items from The Mabinti Centre and artwork from our Drawing Out Obstetric Fistula exhibition. You attended and supported cocktail receptions, meetings, and mixers, raised awareness, and shared our story on social media. You were a passionate force for good, and we are so grateful for your support. Alpha Drilling & Blasting, Inc.
Lavelle Fund for the Blind Inc. Estimates suggest that 4.2 million people in Tanzania live with a disability, and over 20 million people are directly affected by disability in their family. With one of the highest population growth rates globally, the absolute number of people affected by disability in Tanzania will continue to increase. People living with disabilities experience disproportionate levels of poverty and exclusion from social and economic activities, and children with disabilities are particularly vulnerable. Access to high quality surgical and rehabilitative care can mitigate the impact of a disability on a person’s health and development. Yet, despite the significant need in Tanzania, the availability of specialist healthcare is seriously limited. In Tanzania, only an estimated 3.1% of adults with a disability receive income from paid employment. Estimates suggest that only 51% of boys and 42% of girls with disabilities in Tanzania will complete primary school education. Many families affected by disability in Tanzania spend 15% of their household budget on healthcare, one third more than the average. Tanzania has only 5.2 clinical health workers per 10,000 people (one fifth of the optimal ratio recommended by the World Health Organization) and only 177 specialist surgeons to serve the current population of over 55 million people (the Lancet Commission recommends at least 10,694 surgeons to serve this size of population). In 2017, the Kupona community invested in comprehensive treatment and rehabilitation for adults and children with disabilities, training of healthcare providers in specialist fields, and infrastructure and systems improvements to enhance the quality and sustainability of healthcare in Tanzania. CCBRT is the largest provider of disability and rehabilitation services in Tanzania, providing comprehensive, specialist care that is accessible for every patient regardless of their ability to pay. In 2017, CCBRT provided clinical and rehabilitation services at two accessible facilities in Dar es Salaam and Moshi, and further supported 30 partner facilities. In addition to delivering exemplary healthcare services to more patients, CCBRT took action to improve quality and strengthen its systems. A new Chief Medical Officer was recruited in August, who is focused on sustainability and quality of care at CCBRT’s hospital. The quality of the services are reflected in CCBRT’s Level 4 Safe Care certificate, and CCBRT continues to work towards Level 5 (the highest standard). The team’s lean management journey also continued, leveraging management techniques pioneered in the manufacturing industry to reduce waste and increase efficiency. CCBRT conducted over 104,300 clinical consultations for a range of interventions. CCBRT provided over 9,200 surgeries at its hospital including over 6,360 surgeries for people with visual impairments, 1,671 orthopedic and reconstructive surgeries, and 311 surgeries for children with cleft lip/palate. CCBRT provided comprehensive treatment for 738 women with obstetric fistula. CCBRT celebrated the 10th anniversary of the Mabinti Centre, CCBRT’s socioeconomic empowerment program for women recovering from obstetric fistula. CCBRT enrolled 479 new children in its clubfoot treatment program. CCBRT supported over 4,870 families of children with disabilities through community based inclusive development services in both rural and urban communities. Technology continued to play a crucial role. CCBRT leverages mobile money transfer technology to facilitate referral of patients unable to afford transportation to the hospital. This system currently focuses on referral of women and girls with obstetric fistula and children with cleft lip/palate. In 2017, our network of volunteer ambassadors had a 96% rate of referral accuracy. CCBRT’s Prosthetic & Orthotic Center of Excellence, established at CCBRT Hospital in partnership with ICRC MoveAbility Foundation, was one of three centers in East Africa to participate in a clinical trial assessing the use of 3D printing in the production of prosthetic devices, evaluating whether the devices produced are as comfortable, effective and safe for clients as traditional devices. Results have been promising, and the research team is now refining the technology. This has great potential to drastically reduce the costs of prosthetic devices for clients in need. This year, the team also continued the roll out of a digital Hospital Management System and Human Resources Information System to enhance the management of patient and employee records and encourage data driven decision making across the hospital. Once again, the treatment of women and girls with obstetric fistula was a major focus of Kupona’s impact in 2017. Nearly 60% of resources mobilized in the United States were dedicated to fistula treatment and holistic rehabilitation, thanks to the support of partners and donors including Fistula Foundation, Johnson & Johnson, and Direct Relief. CCBRT was able to deliver comprehensive surgical and rehabilitative care to 738 women. 94% of women surveyed were dry six months after surgery, a surgical success rate that far exceeds the established FIGO standard of 75%. 97% of women surveyed reported being more accepted by their communities after surgery. 100 women recovering from fistula surgery have benefited from the intensive 12-month course, training in sewing, screen-printing, beading, design, English, and business skills. Almost 75% of Mabinti graduates now own a tailoring business or continue to work in the industry, earning their own income. Mabinti has also developed into a thriving social business, with a successful production unit providing income generating opportunities for graduates to work on an extensive range of accessories and home furnishings. The products’ popularity at fairs, retail locations in Tanzania and for international wholesale orders have led to a more than sevenfold increase in annual income through product sales since 2008 – revenue which is reinvested into free, high quality treatment for more women and girls living with fistula. When Fadhila became pregnant with her fifth child, she and her husband were thrilled at the chance to expand their family. On the day she went into labor, her husband and community elders encouraged her to give birth at home. After enduring severe pain for more than three days, Fadhila's family realized something was very wrong and she needed to see a doctor. When Fadhila arrived at her local health center, the doctors could not help her because of the severity of her condition. They rushed Fadhila to another hospital farther from their village. As soon as she arrived she was taken in for a Cesarean section. The intervention came too late, and her baby did not survive. This trauma was heartbreaking for the whole family. In addition, Fadhila found she had become incontinent. The damage caused by her prolonged, obstructed labor was so severe she was leaking both urine and feces. Fadhila’s doctors told her they could not help her because they had no fistula surgeons on staff, and referred her to a hospital in Dar es Salaam. After traveling for nearly a day, she arrived and was admitted. Several days later, she was referred again, this time to CCBRT. When CCBRT's fistula specialists examined Fadhila, they found she was extremely weak and malnourished and she could not walk without using a crutch. Doctors prescribed healthy, fortified foods and rest in order to prepare her for further surgery. While back in her home village gaining her strength for the upcoming surgery, Fadhila educated the neighbors who used to be afraid of her about what fistula was, and what could be done to prevent and treat it. Fadhila's testimony of healing will empower other women who may be living in silence with the same condition, and can help prevent other women from experiencing the same trauma. As a specialist in disability and rehabilitation, CCBRT is committed to sharing its expertise and strengthening the network of quality care available to people with disabilities in Tanzania. Our capacity building efforts target every level of the healthcare system, starting in the home and community and ending with regional hospitals. In 2017, the team empowered parents/carers of children with disabilities with the skills and confidence to provide quality care at home, equipped community healthcare workers to identify and refer women and girls living with obstetric fistula for treatment, and trained surgeons to deliver specialist care in obstetric fistula and ophthalmology. Due to its expertise, CCBRT sits on various national technical working groups and is accredited by the International Federation of Gynecology and Obstetrics as a training site for fistula surgeons. With the support of our partners at Johnson & Johnson, plans progressed to formalize CCBRT’s training efforts through the development of the CCBRT Academy: Centre of Excellence in Clinical Education, which is due to open in 2018. Phase One of the Academy will enable initial training to be offered in a renovated facility on CCBRT’s campus and Phase Two will open in the dedicated training space within the new Maternity and Newborn Hospital in 2019. CCBRT is also committed to the professional development of its own staff, which cannot be divorced from the continuous improvement of services. In this spirit, Kupona Foundation launched a major new partnership with the Lavelle Fund for the Blind in 2017. Over the next 2.5 years, the Lavelle Fund will support critical financial and technical investments, enabling the CCBRT team to scale the provision of low cost, high quality services to people living with blindness or visual impairment in Tanzania, and to sustain these critical services for future generations. The ophthalmology department is CCBRT’s busiest, accounting for over 60% of the caseload at CCBRT's hospital in 2017. Leveraging the advice and expertise of esteemed advisors from the world of social enterprise and sustainable eye care, the goal is to use investments in staff training, as well as in equipment, community outreach and facility refurbishment, to ensure that CCBRT can reach more people in need of affordable, high quality, specialized services to restore their sight, while investing in organizational sustainability. CCBRT has served over one million patients since its hospital opened in 2001. As demand for services continues to grow, investments in infrastructure and equipment are critical to maintain and enhance the quality of care available to patients. Through our partnership with Lavelle Fund for the Blind, Kupona provided new equipment for the ophthalmology department to not only improve quality of care, but also to prepare the department’s infrastructure to serve higher volumes of patients in the years to come. In 2017, CCBRT continued construction of a new premium clinic facility. This facility will increase CCBRT's capacity to serve patients willing and able to pay more for healthcare services. This will, in turn, increase the revenue available to deliver free and subsidized services to patients unable to afford treatment.As part of CCBRT’s wider sustainability strategy, CCBRT also converted one of its existing buildings into a new Imaging Center, which opened in January, enabling CCBRT to offer ultrasound and CT scanning on site, in addition to existing X-Ray services. Prior to the opening of the Imaging Center, CCBRT had to refer patients in need of these imaging services to other hospitals across Dar es Salaam. Now, patient scans can be conducted and read by onsite radiologists, streamlining the treatment process and improving the patient experience. Patients from CCBRT’s premium Clinic will be served using the same imaging facilities, and the center will also be a referral unit for other health facilities' imaging needs. As a part of CCBRT’s social enterprise model, revenue from the Imaging Center will be reinvested into CCBRT, to support delivery of free and subsidized care for patients unable to pay. Dr. Gichanga joined CCBRT as Chief Medical Officer (CMO) in August 2017. In this role, he will focus on sustainability and quality of care across all services. As a trained medical doctor with a wealth of experience in health management, he is optimistic that changes at CCBRT will greatly improve the patient experience. “We want the people doing our core business – serving patients – to be able to make decisions on how to better serve them. As opposed to the current system where decisions are made centrally, this shift will change management’s role from administrators to facilitators of our service providers,” explains Dr. Gichanga. Dr. Gichanga’s background makes him the right man for the job. 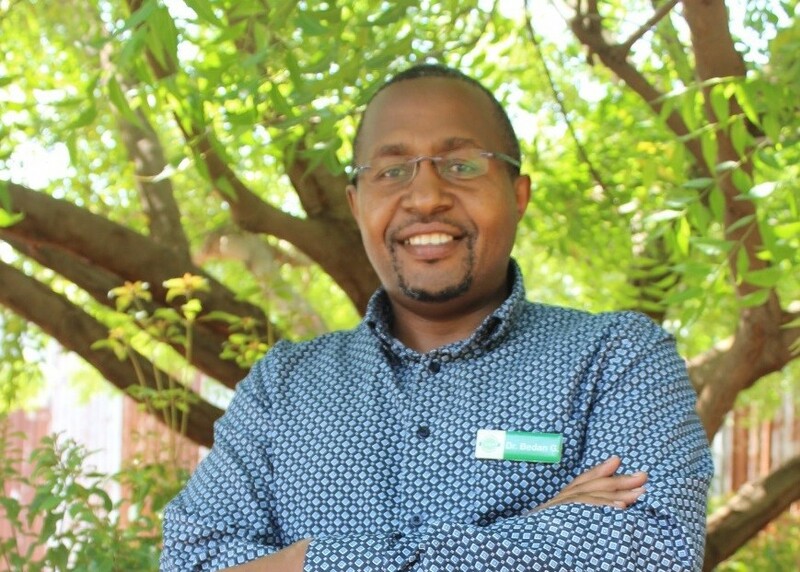 Since finishing his medical degree at the University of Nairobi and his MBA at Keele University in the UK, he has two decades of experience in the health industry – in hospitals, both as a healthcare provider and a manager, and in health insurance, as a payer for services. He spent the last decade supporting health systems with USAID, focused largely on inclusion of the private sector, human resources management and supply chain reforms. Tanzania is one of ten countries in the world that together contribute to 61% of global maternal deaths and 66% of global neonatal deaths. It is estimated that over 80% of these deaths could be prevented if pregnant women had access to comprehensive antenatal care, skilled birth attendants during delivery, and emergency obstetric care. Improvements to the quality of maternal and newborn healthcare not only save lives but are also the most effective way to prevent disability. For every woman that dies in childbirth in Tanzania, 20 more will develop an injury, infection or debilitating impairment. Each year, thousands of children are born with birth defects like cleft lip/palate and clubfoot in Tanzania. When these impairments aren't properly diagnosed and referred for treatment at birth, they can develop into a long-term disability, compounding the complexity of treatment and adversely affecting a child's development. Tanzania's largest urban center, Dar es Salaam, is one of the fastest growing cities in the world. Dar es Salaam is on track to become a megacity (with a population greater than 10 million) by 2025, yet the city's healthcare infrastructure was built to serve ~750,000. Healthcare facilities are being stretched to breaking point as demand for service grows. Despite the best efforts of frontline heath workers, shortages of skilled staff, critical gaps in equipment and supplies, and broken referral systems put the lives and welfare of women and newborns at serious risk. In 2017, Kupona Foundation supporters continued to invest in comprehensive efforts to improve the quality of maternal and newborn healthcare in Tanzania. 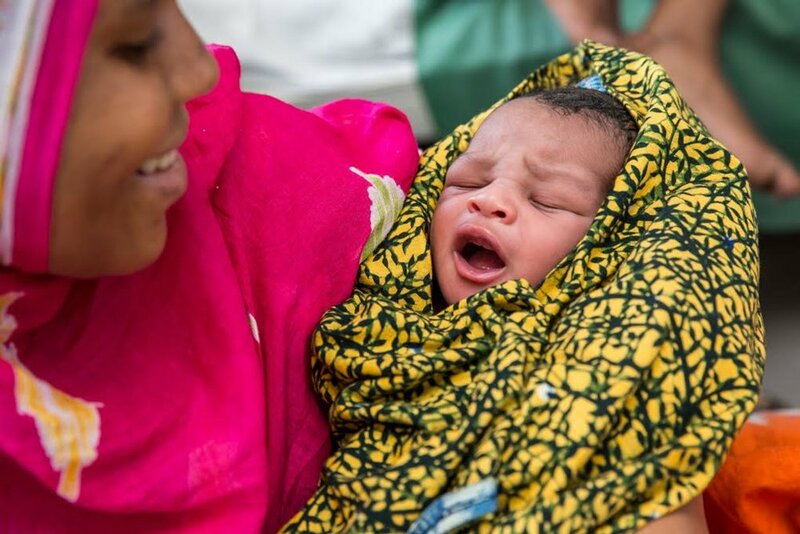 Investments supported training and capacity building in Dar es Salaam's public healthcare facilities, preparations to open a new referral hospital for emergency and high-risk deliveries, and the delivery of integrated services to address the unmet need for family planning. Integrated family planning is one of the most effective ways to prevent maternal death, by reducing the number of unintended pregnancies and unsafe abortions that often result in maternal mortality and morbidity. According to the Copenhagen Consensus, every $1 spent on family planning will return $120 in benefits to the community at large. Since 2013, Kupona’s community has been a driving force behind the provision of discreet family planning services at CCBRT's hospital, in memory of Tim Manchester. By offering sexual and reproductive healthcare services on its hospital campus, CCBRT improves access to these services for people with disabilities and their families. CCBRT’s family planning clinic has a diverse client base, including patients accessing disability health services and their caretakers, CCBRT staff, as well as residents of neighboring communities. The number of clients visiting the clinic has more than doubled in only three years. In 2017, CCBRT served 208 new patients and 468 returning patients at its family planning clinic, an 85% increase from 2016. CCBRT also continued to integrate family planning into its core disability services, with particular focus on women receiving treatment for obstetric fistula, who are at serious risk for complications in future pregnancies. Now, a trained nurse offers a family planning consultation to every woman treated for fistula at CCBRT, helping her make safe, informed decisions about her reproductive future. Melinda first came to CCBRT to seek treatment for her youngest son who is living with cerebral palsy. In the field of family planning, three nurses were trained as service providers and 49 CCBRT staff members received education on CCBRT’s on-campus family planning services in 2017, supporting the continued integration of sexual and reproductive healthcare into CCBRT’s wider clinical services. Since 2010, CCBRT has worked in partnership with the Regional Health Management Team in Dar es Salaam to build the capacity of public healthcare facilities to provide high quality obstetric and newborn care. In 2017 frontline clinical teams continued to experience high demand for services, conducting over 46,000 antenatal care visits and 84,600 deliveries, including over 11,900 C-sections, across 22 supported sites. CCBRT continued to distribute essential equipment and supplies and deliver training and on-the-job mentoring, empowering clinical teams to provide quality, respectful, comprehensive care to their patients. More than 1,300 healthcare workers received coaching and mentoring in maternal and neonatal care and anesthesia this year. The average quality of care score* across supported sites in 2017 was 84%, a further improvement on the average score of 74% reported in 2016. CCBRT also supported data strengthening initiatives to further entrench a culture of data driven decision making across the region. CCBRT helped clinical teams across the Dar es Salaam region to implement a digital tool to conduct perinatal death audits, enabling teams to count every death, track the causes, and identify trends to inform continuous learning and service improvements. Thanks to the comprehensive partnership between CCBRT and the Regional Health Management Team, with the support of our global partners, mothers and babies in the Dar es Salaam region now face a brighter future. *Measured by the Standards Based Management Recognition (SBM-R) tool developed in the field by Jhpiego, an affiliate of The Johns Hopkins University. Learn more about the tool here. Inside one of the Dar es Salaam region’s busiest neonatal wards, Ladness is doing a late-morning round to check on her patients. She bends over an open cot to inspect a premature newborn. It’s obvious from the way she looks at the baby: she is passionate about her job. At a young age, Ladness was determined to become a nurse. She was inspired by their work, the people they served – even their uniforms. Today, Ladness has over nine years of nursing experience. She works as a Registered Nurse (RN) at Mwananyamala Hospital, covering the neonatal ward. “I like being a nurse because it never stops giving. I get the opportunity to learn new things every day,” said Ladness. Ladness is one of the nurses trained in neonatal care at Mwananyamala Hospital. She attended several trainings on newborn care facilitated by CCBRT’s Maternal and Newborn Healthcare Capacity Building Program. The knowledge and skills gained through these trainings have transformed her work, touching the lives of her patients, her co-workers and her co-workers’ patients. “I have been able to pass on the knowledge from CCBRT trainings to other nurses and volunteers in the ward. Together, we’ve really improved the management of newborn illnesses and complications,” she explained. CCBRT also provides mentoring, guidance and equipment at Mwananyamala Hospital to help improve quality of care and reduce newborn deaths. “I am happy that staff are now able to provide Emergency Newborn Care, and we have essential newborn equipment, all thanks to CCBRT. It is very heart-warming to see babies coming here very ill, but leaving free of sickness,” Ladness added. In parallel to efforts to strengthen the capacity of existing facilities in Dar es Salaam, CCBRT is building a new maternity and newborn hospital to bring an additional 200 beds to the region. The hospital will offer comprehensive care for women with high risk pregnancies and sick newborns, with particular focus on pregnant women with a disability, pregnant adolescents younger than 16 years, and pregnant women with a history of fistula. At full capacity, the 200-bed facility is projected to serve 15,000 women and girls, and deliver 12,000 babies, annually. This year, in-depth planning for the opening of the facility continued. As Technical Advisors developed detailed Standard Operating Procedures for the hospital, a number of clinical staff completed training, while others continued their enrollment in long-term training programs, ensuring the hospital will have the human resources it needs to provide quality care from day one. To strengthen the healthcare system in advance of the opening of its new facility, CCBRT also successfully supported the development and implementation of referral protocols for mothers and babies in the Dar es Salaam Region. As part of their efforts to strengthen the referral system, CCBRT continued to support the use of a mobile Closed User Group. This simple mobile phone based platform allows users within the group to call each other free of charge. It is an innovation that strengthens communication and coordination between providers across regional facilities, increasing the efficacy of referral and improving patient outcomes. In a corner of a neonatal ward in Dar es Salaam, Salma lays down on her bed, holding her two little boys close. Like any parent, Salma was not prepared for her twins to be born seven weeks early. It came as a great shock: “After birth, the nurses took them straight away. I only had a quick look before they took them for treatment. They were so, so tiny,” Salma remembered. Though she was worried in the beginning, Salma became more optimistic as the weeks passed. “I was scared, as I had never experienced having premature babies. But doctors and nurses advised on taking care of them. And I am grateful for their help because, without it, I would have lost my babies,” she said. Dr. Isabella Shija, a trained preceptor in CCBRT’s Maternal and Newborn Healthcare Capacity Building Program, was one of the health workers who followed up with Salma’s babies. “Low birth weight babies are particularly susceptible and need extra care to ensure they are kept warm and dry. We admit premature newborns with very low birth weight to ensure they receive appropriate care,” she explained. “We have respiratory equipment for babies with breathing difficulties, phototherapy lights for jaundiced babies, and baby warmers, all supported by CCBRT,” Dr Isabella added. “An alternative method involves provision of warmth through skin-to-skin contact between the mother and baby’s bodies, known as Kangaroo Mother Care (KMC). KMC is safe, affordable and effective. We advise mothers like Salma on KMC and feeding, to increase chances of survival,” she concluded. As global citizens, we are proud to participate in international, multi-sector discussions in pursuit of real solutions to the challenges facing our international community. Our participation in conferences and events throughout the year gives us opportunities to build partnerships with organizations and individuals who share our passion for global health. Turning talk into action, we also use storytelling to mobilize a growing community of Kupona supporters. From digital activations and speaking engagements, to golf tournaments and cocktail receptions, our activities in the United States take on many forms, all with one common theme: to shine a spotlight on the causes we champion, and to show individuals and institutions how they can play a tangible role in empowering people and communities living in poverty to realize their full potential. In 2017, our team shared the Kupona Foundation story on several global platforms. In January, our Executive Director Abbey Kocan joined the ‘Women Entrepreneurs in Africa’ panel at the African Diaspora Investment Symposium (ADIS) in San Jose, California, to talk about The Mabinti Centre’s efforts to foster entrepreneurship in women recovering from obstetric fistula. In April, Abbey made a social impact lab pitch at the Unite for Sight Global Health and Innovation conference at Yale University, entitled ‘What healthcare providers in low resource settings can learn from the Toyota production line’, exploring the impact and lessons learned from CCBRT’s application of lean management techniques in healthcare. In June, our External Affairs Manager, Alexandra Cairns, joined Chrysula Winegar from the UN Foundation and Daphne Metland from Baby Center (a member of the Johnson & Johnson family of companies) on the ‘Health in Your Hands’ panel at Families+Social Good in London, to discuss the power of mobile technology to transform women’s health, focusing on our obstetric fistula program. Abbey and Alex also joined friends, old and new, at the Johnson & Johnson Changemakers Expo in New York City in September. If you missed it, you can rewatch the Familes+Social Good panel discussion here, and see the ADIS panel discussion here. As storytellers mobilizing support through narratives, we are acutely aware of our responsibility to do so without jeopardizing the privacy or dignity of the people we serve. On International Day to End Obstetric Fistula, May 23rd, we reflected on an important question: How do we, as fundraisers, clinicians and global health advocates, talk about fistula without imposing our own narrative and excluding women from their own stories? We asked twenty women and girls undergoing treatment at CCBRT how they identify themselves and prefer to be identified – they chose words like ‘mama’, ‘businesswoman’, ‘entrepreneur’. Not one person wanted to be thought of as a ‘patient’ or a ‘victim’. The women and girls we serve do not want fistula to define them or their place in their community. It is imperative that we tell these women and girls’ stories on their terms. We also engaged directly with our partners in the fistula space, through interviews and a Twitter chat. With these efforts, we were delighted to be awarded an honorable mention by our friends at GlobalGiving as part of their Top 10 nonprofits committed to impact series. You can learn more about the perspectives of the women and girls we serve here. This year, our new friend, Sara Safari, climbed Mount Kilimanjaro to raise funds and awareness for women living with and recovering from obstetric fistula in Tanzania. Sara is an author, engineer, professor, mountaineer, TedEx speaker, recipient of the 2015 Global Citizen Award from the United Nations, and advocate for the empowerment of women and girls. In 2015, Sara was climbing Mt. Everest to raise funds to empower Nepali girls who were trafficked or forced into marriage. On day 25 of Sara’s climb, Nepal was struck by a 7.8 magnitude earthquake. Sara survived the quake and the devastating avalanche that followed while clinging to the edge of the treacherous Khumbu Icefall by her harness and anchor. Today, Sara continues working, and climbing, to empower women and girls. In 2017, she set out to become the first Iranian in history to climb the highest mountains on every continent (The Seven Summits) to raise funds for seven charities working for women’s empowerment. Kupona Foundation was honored to be Sara’s charity of choice on the African continent. You can learn more about her fundraising efforts and show your support for her challenge here. There is no better way to grasp the challenges and opportunities in our work than seeing our programs in action. In March, members of our Board of Directors and Advisory Board were able to do just that. Bob Schwed, Mira Dewji and Jameel Farruk accompanied our Executive Director, Abbey, on a trip to Dar es Salaam to see the impact of high quality, accessible healthcare on the lives of the people and communities we serve, and to gain a deeper understanding of the most pressing needs on the ground. Tours of the CCBRT Hospital, as well as one of the health centers where CCBRT is improving the quality of maternal and newborn healthcare, demonstrated the scale and comprehensive nature of our work in Tanzania. You can read more about their trip and their reactions after visiting CCBRT here. With investments in scale and sustainability and the opening of the new maternity and newborn hospital, the number of people directly served at CCBRT will increase by over 40% by 2020, and thousands more will benefit from our efforts to strengthen the wider healthcare system. At optimal health, individuals and their families thrive, breaking the cycle of poverty. Join us in transforming healthcare to help unleash the potential of thousands of people in Tanzania. Kupona Foundation is a 501(c)(3) registered non-profit.